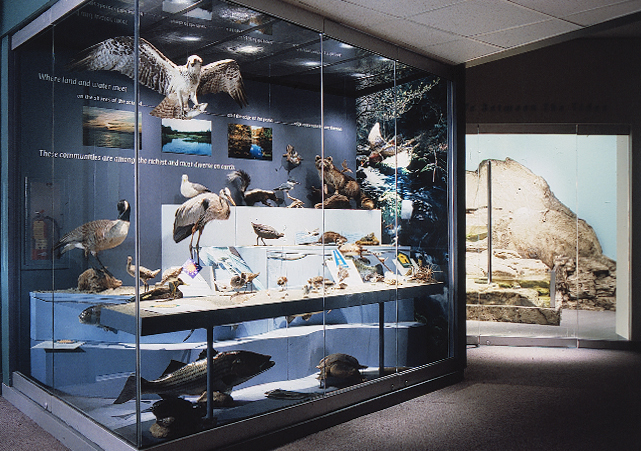 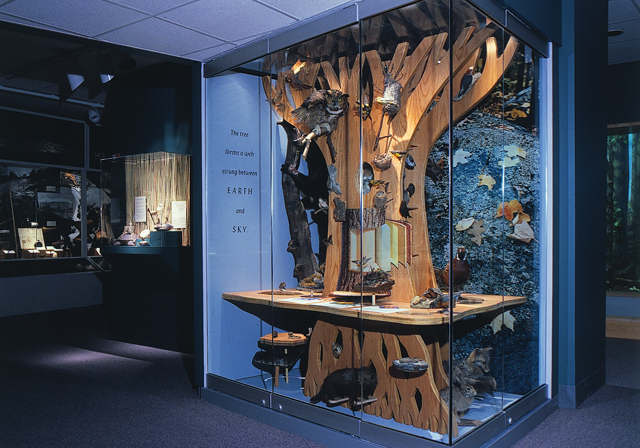 CHANGES IN OUR LAND is the core permanent exhibit for a major architectural renovation at the Bruce Museum which added an environmental science wing. 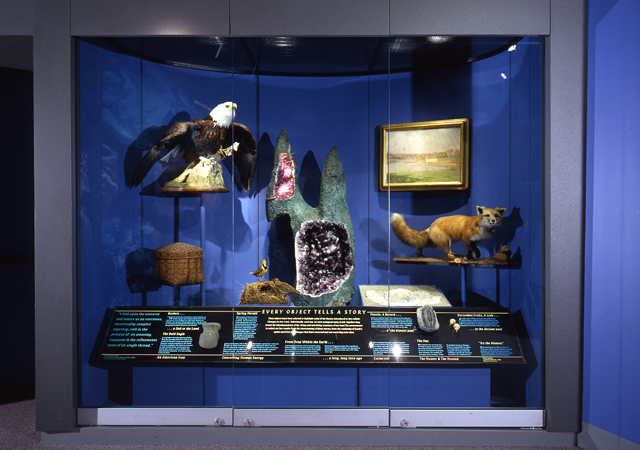 It combines natural history and human history to examine changes in the land over time which are the result of natural forces and human intervention. 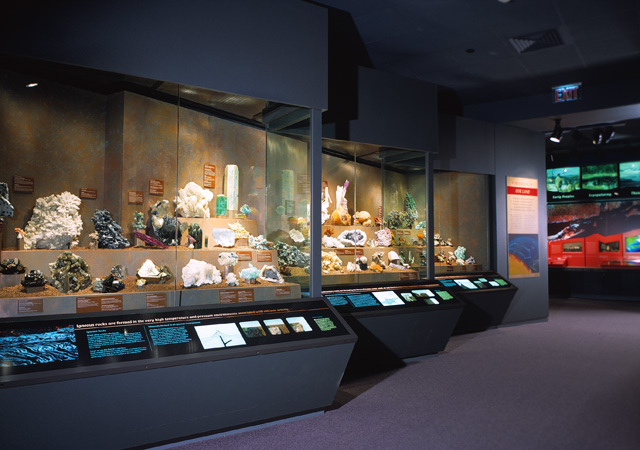 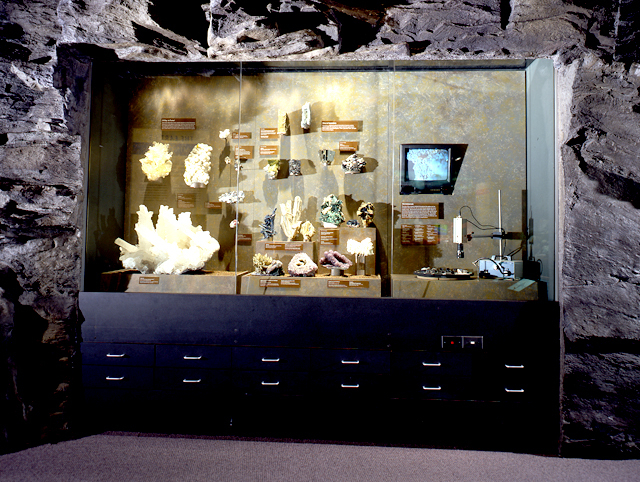 The exhibits highlight a world-class mineral collection, a large-scale woodland diorama (circa 1600), a live 2,400 gallon marine touch tank, a recreation of an archeological dig and an interactive gallery on the formation of Long Island Sound. 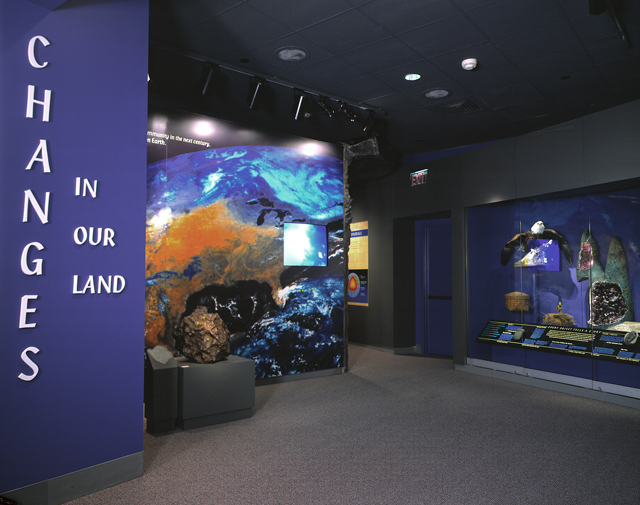 The design employs the use of media, electro-mechanical devices, programmable lighting effects, audio and video, and a live marine aquarium. 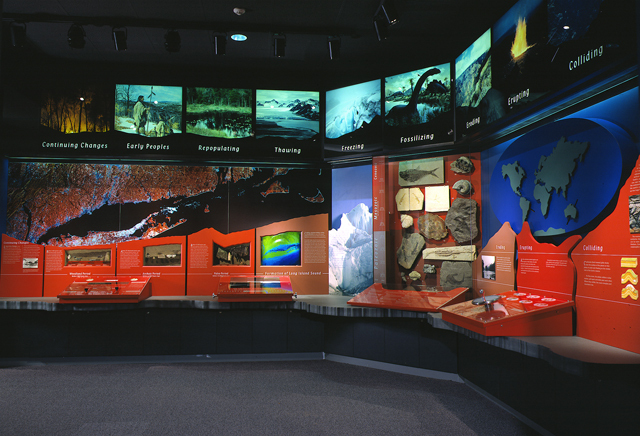 Each exhibit combines graphic layouts and illustrations, hands-on exhibits, real artifacts and preserved specimens. 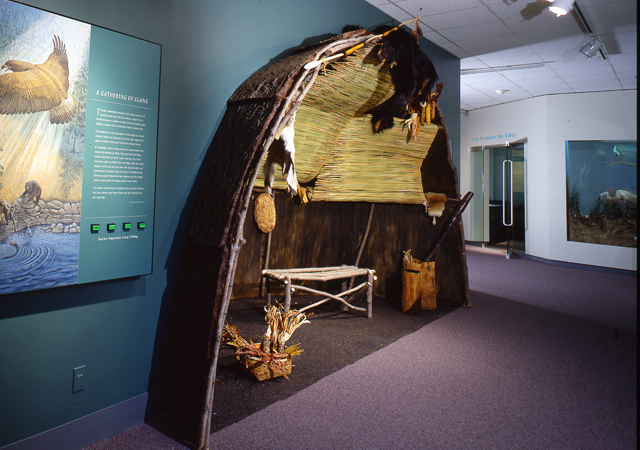 This 900 sq.ft. 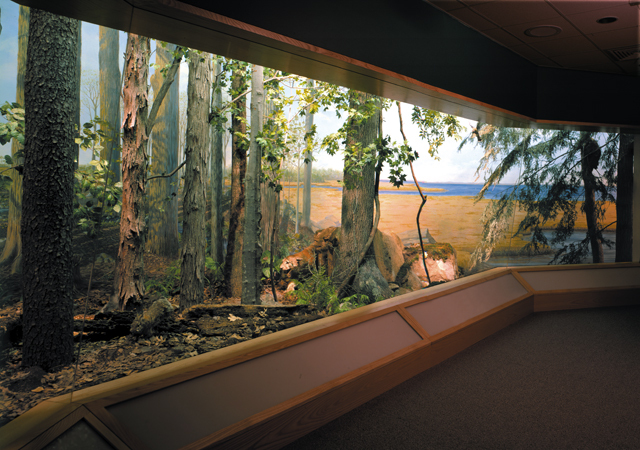 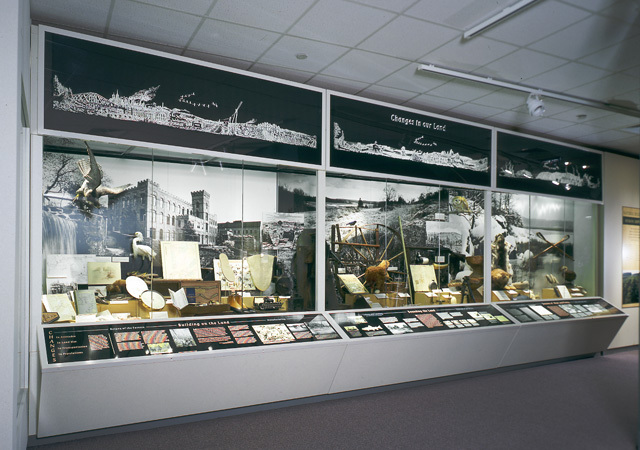 diorama, showcases over 200 species of plants and animals (circa 1600), before European settlers introduced new species of flora and fauna.